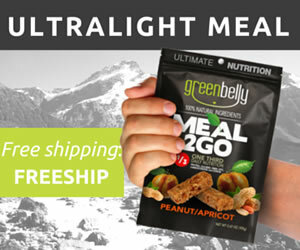 When does LetsTalkSurvival.com collect my personal information? You may provide personal information to LetsTalkSurvival.com several ways including: (1) by sharing your e-mail address when subscribing to our newsletter, (2) by sharing personal information when you submit news tips to our editorial team or by submitting a report via our Contact Form, (3) by sharing personal information when you post comments on our posts or stories, (4) by sharing contact information (Twitter username and Facebook account name) through our contests and LetsTalkSurvival.com Awards, (5) by signing up to be a member of our online social network, LetsTalkSurvival.com Follow, (6) by participating in a survey where an email address is requested. We may also ask for other information at other times but at no time will you be required to share any personal information to gain complete access to our site. 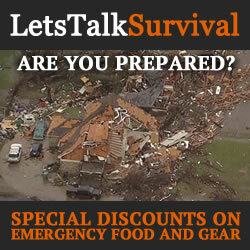 LetsTalkSurvival.com is an open community but email addresses are requested to participate in some of our member-only features. In addition to basic contact information, our analytics trackers may also collect other information. This may include the operating system you are working on, the Internet browser you are using, and the screen resolution of your computer. How does LetsTalkSurvival.com use my personal information? Depending on the portion of our site that you have subscribed to or interacted with, we may use your information in a number of ways. The email address you provided through our newsletter subscription form enables us to send you a daily digest of LetsTalkSurvival.com news stories. This subscription is entirely opt-in by the user. (We cannot subscribe you to the newsletter as you personally must have access to the email account in order to verify the subscription.) Subscribers can opt-out of our newsletter at any time by clicking the “Unsubscribe” link that is present on every email at the very bottom of the newsletter. If you choose to comment on LetsTalkSurvival.com stories through Twitter and/or Facebook Connect, we do not get access to your email address nor do we have any access to your personal data or private information. We ask for a Twitter or Facebook account to verify the legitimacy of accounts voting in our LetsTalkSurvival.com Awards. We do not get any access to your personal data or private information. You volunteer your email address and other identifying information on our social network, LetsTalkSurvival.com Follow. We use your email address only to inform you if there is activity on your profile. You can opt out of these messages at any time. We may also share your email address or other information with third-party vendors including, but not limited to those like Rapleaf and Klout. Such information will be used for data analytics and advertising targeting. However, we do not sell individual personal data or email addresses or allow them to be used for mailings you have not asked to receive. When you sign up for our updates or receive e-mail messages from LetsTalkSurvival.com, you will always be given the chance to opt-out of our communications. You may change your preferences at any time and will only be contacted in manners consistent with your stated preferences. Non-personally identifiable information (such as stated above) may be shared in aggregate form with our advertisers, business, or marketing partners but your personally identifiable information will never be disclosed to them. Accounts associated with LetsTalkSurvival.com are all ‘public.’ By ‘public,’ we mean that certain information will be viewable by all users. What you see on other user profiles is the same information that other users can see about you. Is there anything else I should know about my privacy and LetsTalkSurvival.com? Any information you disclose voluntarily on our comments page or in any properties hosted by LetsTalkSurvival.com becomes public information. LetsTalkSurvival.com.com is a public forum. We cannot control the action of our site users and advise you to use your discretion in sharing information about yourself on the Internet. All information sharing is optional and done so at your own risk. Privacy is a very personal matter and we encourage you to be careful and responsible when disclosing personal information online. We never censor comments based on political or ideological point of view or of a critical nature. We reserve the right to delete those comments that are off-topic, “spammy” in nature, abusive, use excessive foul language, or include ad hominem attacks. Once a comment is made public on the LetsTalkSurvival.com website, we will not remove it by request. As a user, you are responsible for your own communications and are responsible for the consequences of their posting. All comments and other content contributed to LetsTalkSurvival.com shall adhere to the following policy, and may be edited or removed at LetsTalkSurvival.com’s discretion if it is deemed to be in violation of this policy. Personal Attacks: Please don’t engage in personal attacks (on authors, other users or any individual), persistent trolling or mindless abuse. The LetsTalkSurvival.com community should focus on intelligently discussing topics by furthering the conversation and informing the participants with resourceful and constructive ideas. Language and Threats: Please watch your language and respect other people’s views, beliefs and emotions. We reserve the right to remove any content that might be found extremely offensive or threatening. Smear Tactics: Although we acknowledge criticism of our articles and our writers, we will not allow misrepresentation. We will distinguish between constructive arguments and smear tactics. Quality: We encourage you to take responsibility for the quality of the conversations in which you’re participating. Maintain intelligent discussions in the LetsTalkSurvival.com community by being respectful and considerate. Help us: Maintain an inviting interaction space by self-policing threads and flagging spam. Although we have a hands-on approach to community engagement, we do sometimes miss problem commenters or trolls. We appreciate your efforts to keep the LetsTalkSurvival.com community environment inviting, insightful and constructive. Let the conversations be quality ones. LetsTalkSurvival.com’s online social network is entirely opt-in by our members. The accounts listed in our database are created by members of LetsTalkSurvival.com. Due to security considerations, LetsTalkSurvival.com will not process account deletion requests made via email. To delete an account, the account holder must sign into the network using his/her email address or username in order to permanently delete his/her account. If the account holder no longer has access to the email account upon which the account was created, the account holder will not be able to delete the account. Please also visit our Terms and Conditions section establishing the use, disclaimers, and limitations of liability governing the use of our website at http://letstalksurvival.com/terms/. This policy was last revised on 2014.01.20.